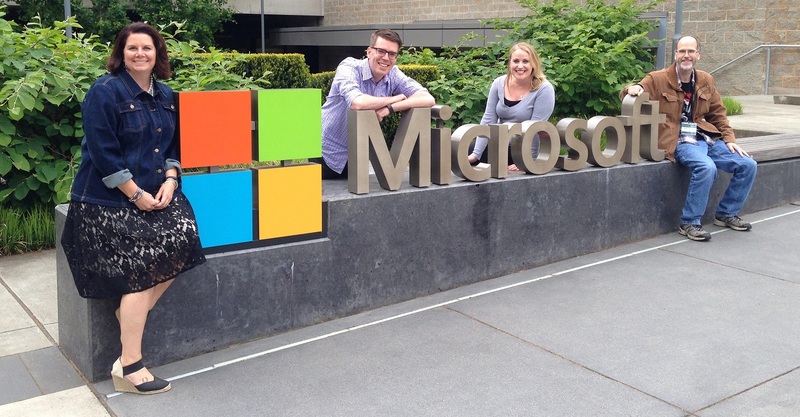 Our Google AdWords reps came to visit us recently, and they brought along a mobile expert. She spoke to us for two hours about the importance of mobile to our clients businesses and shared some very eye-opening statistics. A one second increase in your mobile site load time causes a 7% drop in conversions. For a company that does $100,000 in revenue per day – 1 second leads to $2.5 million in lost revenue per year. A three second increase in page load time on mobile causes a 22% drop in page views, and 50% increase in bounce rate and 22% drop in conversions. Fathead.com made their mobile site 37% faster and saw a 70% increase in mobile revenue per user. Mobile searches have eclipsed the number of desktop searches in the US as well as in nine other countries world-wide. Mobile is here and it’s affecting your business. I’m seeing desktop impressions decreasing, regardless of increased desktop spend, and I’m seeing mobile increases in the 100% to 200% as the norm. If your business is not doing as well as it did last year, I would look long and hard at how your site is on mobile, because it’s very likely that your site is the cause. There’s a whole slew of data that shows how a poor mobile site experience can turn off a potential customer, not just for the moment but for the long term (see the thinkwithgoogle.com link below for the research). We’ve had prospective clients come to us and say something like, ‘I’ve tried PPC before and it didn’t work at all. 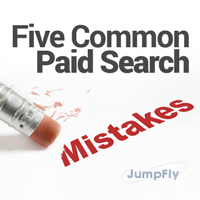 I spent a lot of money, really fast and got nothing out of it, but all my competitors use it, so it must work for them.’ It’s not that your campaigns didn’t work, but that you might be making some common paid search mistakes. Here are five, but by no means, all of them. Before you set up your PPC campaigns, take time and map out how you want your campaigns organized. The more planning you do before you set up your campaigns, the more time and money you will save down the road. You should organize your campaigns into specific themes and have your Ad Groups organized by specific keywords. Organizing your campaigns from the beginning will allow you to have a clearer picture of your account as it starts to receive data. You will be better able to manage budgets and bids. You will also be able to cut down on wasted spending much easier. A little planning before, can save you a lot of time and money down the road. Your goal of a landing page is to take your visitor to the most relevant page. A lot of people tend to take their visitors to their home page. Now that’s OK if your home page is the most relevant for the search a user looked up. However you don’t want your visitor to have to search through your website to find what they are looking for. If a visitor is searching for “red shoes”, you don’t want to take them to your generic shoe page that shows all colors. You want to take your visitor to the most appropriate landing page, a page that shows all your red shoes. If a visitor has to search through pages for what they are looking for, then chances are they will just leave and go somewhere else. A relevant landing page will keep your visitor more engaged on your site and lead to more conversions. One goal of PPC is to get targeted traffic to your site and perform some sort of action, such as buying a product or service or filling out a lead form. When an account is built, you need to take advantage of negative keywords. Negative keywords can cut down on unnecessary spending. As an example, say you sell hockey equipment. Do you really want to pay for people to visit your site who type in the word “free”? Or what if you sell new hockey equipment, but the search is “used hockey equipment” or “hockey equipment craigs list”. It’s highly unlikely they are looking to pay for your good or services and I am pretty sure you’re not in the business of giving away free products, so why pay for that visitor? Here’s another example: you are a medical billing company, and you advertise on “medical billing” – negative the terms job, jobs, career, careers, employment, training, courses, at home to prevent people who are not looking for the service you offer. Save a lot of time, frustration and money by making use of negative keywords. Sometimes people can be quick to set up a campaign, only to shut it down after a week or two if they don’t see the results they were expecting. Of course there are times when it’s appropriate to shut down a campaign after a week or two, but only if you have enough data to justify this decision. However there are a lot of times that it takes a longer period of time to gather data and analyze your results. When you gather data, you learn more about your visitors and how they are finding you and what actions they are taking on your site. By knowing this information about your visitor, you can refine your campaign to build off the successful items and eliminate the money wasting items. You can also get an idea of what you might need to change on your website. By gathering more data, you can make more informed decisions. 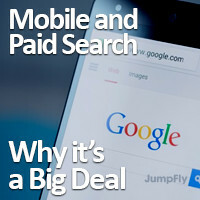 Paid search is surprisingly complex. And these mistakes above just scratch the surface of what to do. There are a lot of moving parts. It takes time to master and time to learn what to optimize, what to leave alone, which settings to take advantage of. If you don’t have the time to invest in paid search, then a PPC management company is money well spent.